Gore Vidal (1925-2012) was the author of such novels as Burr, 1976, Julian and Myra Breckinridge, as well as one of America’s greatest essayists. 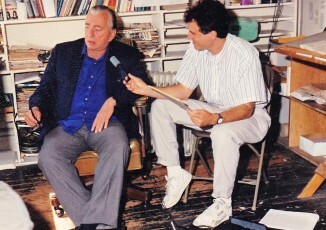 On June 30, 1990, he sat down with Richard Wolinsky for an illuminating interview about his career as both writer and social critic. The interview was transcribed and published in the San Francisco Bay Guardian on July 11, 1990. It has not been heard on the radio for over twenty years. An extended version can be found on the Radio Wolinsky podcast.